Discussion in 'Seasoned Marijuana Users' started by Floydian_Slip, May 19, 2006. I was pretty bored yesterday afternoon so i called up my friend and asked if he wanted to make a run to the "local" headshop (about an hour away). The last time we attempted the trip we left at like 4, got really lost, and didn't get there until about 7:10. Naturally, the place closed at 7. Anyway, this was a much more successful trip. I've been dry a few days so I couldn't test anything out yet. I can't wait until i get my oz. this weekend. absoultly love the fish bubler.... everything else is cool too. I'm glad to see I'm not the only one who thought the fish was cool. I'll try to post some milkshots or maybe a video over the weekend. It looks like you should be able to see the fish fill with smoke, but we'll see. 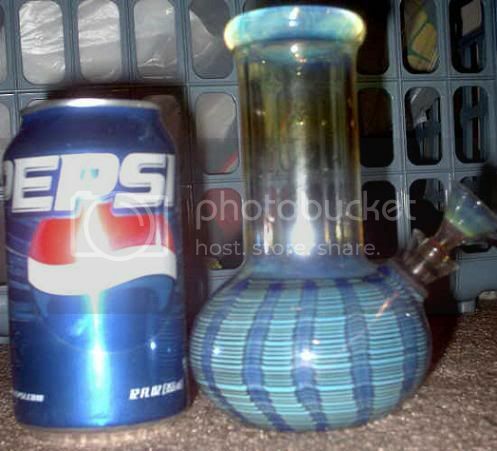 That bubbler looks ill man, good pickup for sure! I like the fish, good find. LMAO... I had no idea! 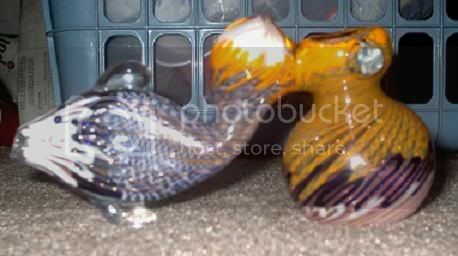 Very nice pieces, the pipe is my fav though. I love the changing glass work of it. 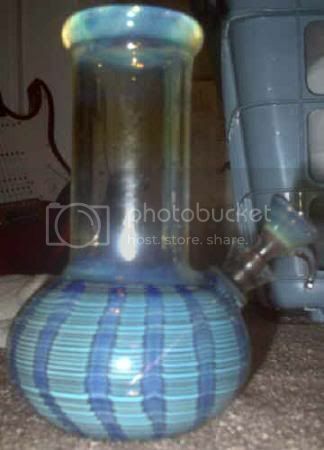 Selling things you've made to a headshop? a trip to the local headshop.